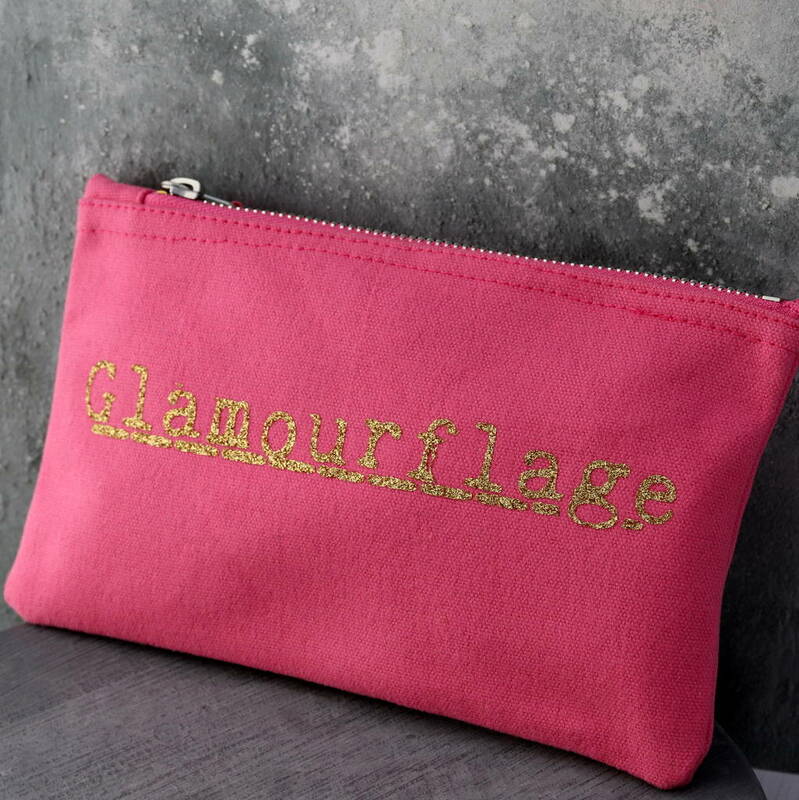 Handmade organic cotton canvas cosmetic bag, with Glamourflage in sparkly glitter letters on it. Product in photo - pink cosmetics bag with gold glitter design. small - 4.5" x 8"